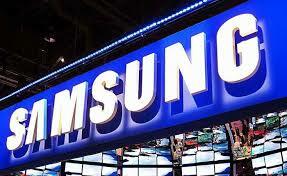 The Korean giant, Samsung is planning to launch a budget Tizen OS based smartphone in emerging markets like India. Although the company has yet not confirmed the device but as per the report some new specifications have been revealed. As leaked by SamMobile some of the hardware information about this low-end Tizen smartphone is disclosed. The smartphone according to the sources will feature dual-SIM slots and an inbuilt FM radio, which are some of the features Indians celebrate. There will also be a 3.2 MP rear camera and the entry level device will also support native apps for Facebook and Twitter. Infact , Samsung had announced its Tizen-based smartphone earlier this year but the company killed the device stating that it will instead focus on budget Tizen handsets, that will be rolled out later in the year. Samsung’s objective behind taking the decision to launch the low cost Tizen operating system devices in India is the explosive growth in the smartphone market in emerging countries and the slowdown in the Western market. But then the company is going to face a tough competition from the new Android One smartphones as well as the budget Mozilla OS-based Intex smartphones launched recently. For those looking for smartphone in their budget, there is one more good news i.e. even the tech giant Microsoft is planning to enter the Indian market with budget handsets under $40 (Rs 2,500) approx later this year.